Teen pregnancy is never easy especially not when extraterrestrials are involved. Elvie Nara was doing just fine in the year 2074. She had a great best friend, a dad she adored, and a bright future working on the Ares Project on Mars. But then she had to get involved with sweet, gorgeous, dumb-as-a-brick Cole and now she’s pregnant. Getting shipped off to the Hanover School for Expecting Teen Mothers was not how Elvie imagined spending her junior year, but she can go with the flow. That is, until a team of hot commandos hijacks the ship and one of them turns out to be Cole. She hasn’t seen him since she told him she’s pregnant, and now he’s bursting into her new home to tell her that her teachers are aliens and want to use her unborn baby to repopulate their species? Nice try, buddy. You could have just called. So fine, finding a way off this ship is priority number one, but first Elvie has to figure out how Cole ended up as a commando, work together with her arch-nemesis, and figure out if she even wants to be a mother assuming they get back to Earth in one piece. First off, I’m a sucker for anything sci-fi and futuristic. Second, I love to see serious teen topics, like teen pregnancy, discussed in young adult novels because it directly addresses the thoughts, concerns, and feelings of teens assuming they are multi-faceted, totally capable, awesome human beings! Lastly, add sarcastic humor and banter to any novel, and I’ll go along for the ride. 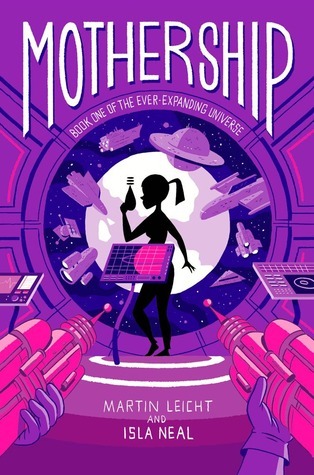 Mothership is a no-holds-barred thrill ride that captures the real struggle of teen pregnancy amidst a hilarious, twists-and-turns space adventure. The narrator and protagonist, Elvie Nara, is fabulous in every way. She’s unabashedly bold and courageous character who knows who she is and isn’t afraid to show it. Even in times of doubt or uncertainty, Elvie rises to the challenge and takes on scary situations, feelings, and experiences head-on with equal parts gusto and charisma even if she slips and falls (literally) along the way. Apart from all the coolness already mentioned, the premise of the story (aside from teen pregnancy) is largely unique. In all of my hours reading, watching, and dreaming of sci-fi plots and stories, I’ve not seen one quite like Mothership. 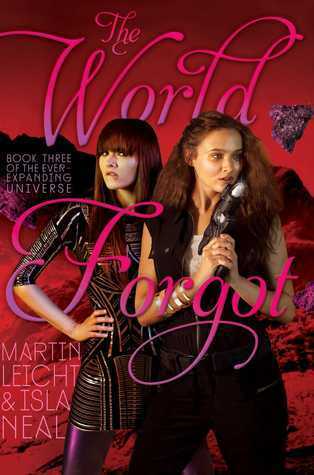 The universe Leicht and Neal create is fun, intriguing, and compelling. 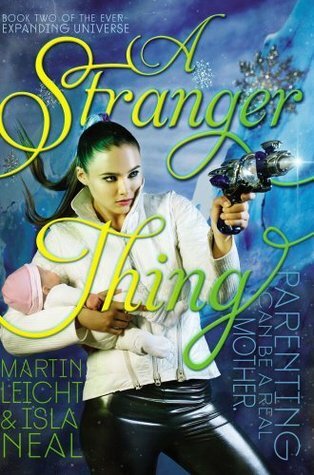 I clung to every word, detail, and event throughout Mothership and can’t wait to see what happens to Elvie in the following two books of the trilogy, A Stranger Thing, and World Forgot. I'm a middle school librarian who loves all things reading, books, and written word. I am a huge nerd and nature lover! I love all things sci-fi, fantasy, and adventure. You'll find me cozying up with a book on the weekends just as often as you'll find me running a 5k race. Reading is learning and learning is growing. I'm a lifetime grower! This entry was posted in action packed, science fiction, self-discovery and tagged adventure, alien invasion, best friends, humor, Science Fiction, space, teen pregnancy, young adult. Bookmark the permalink.